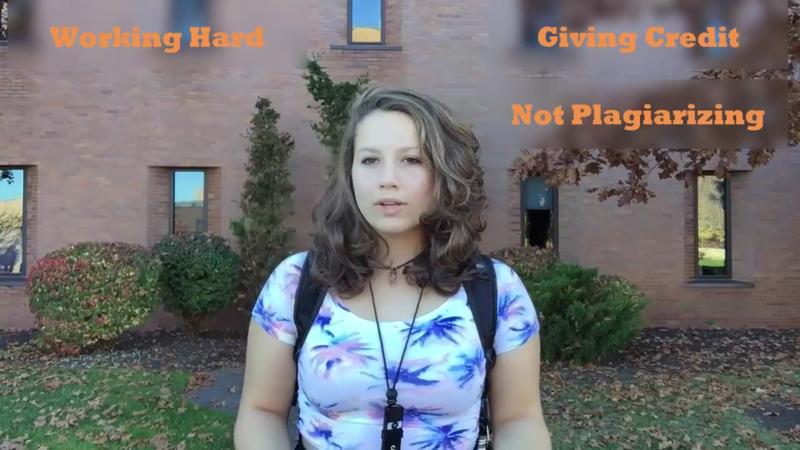 All members of the RIT community including students, faculty, and staff are expected to maintain a standard of both “personal and professional integrity.” Having academic integrity is about creating and engaging with scholarship in an honest and responsible manner regardless of workload or level of stress. Someone who has academic integrity does not plagiarize or cheat, but rather contributes positively to the body of scholarly knowledge. Your work represents your knowledge of subject matter and you should not allow others to copy for tests or projects. Your work demonstrates your mastery of a subject and therefore you should never be tempted to use another’s work for your own. Understand and apply the values of your field. Know the expectations for professional literature and demonstrate appropriate research techniques. Be a positive contribution to the larger body of knowledge in your discipline. Incorporating the words and ideas of others is a crucial component of the research process, but be sure to give credit where credit is due. Properly cite your sources and use direct quotes when appropriate. Practice summarizing and paraphrasing information you gather from outside sources. Use direct quotes appropriately, and always provide a reference for any information not considered common knowledge. Learn to thoroughly research the topics you study in your courses. Seek out reliable and credible background information, weigh evidence carefully and rationally, and organize your work so that you can keep track of what you read and where you read it. RIT Libraries is committed to supporting academic integrity across the Rochester Institute of Technology campus by providing resources and educational materials on relevant topics, instruction and guidance on the research process, and access to Turnitin. The content on this site was developed for RIT as a collaborative effort between several entities on campus including Academic Support Center, Faculty Career Development, Innovative Learning Institute, RIT Libraries, and University Writing Commons.